This personalized, inclusive 4-Element (Fire, Air, Water, and Earth) Protocol is targeted to help with the channeling of all energetic reserves as it is seen particularly from your birth chart. We each hold a particular measure and propensity of each energetic frequency in our charts, and the ways in which we may derive the most satisfaction from the channeling of this energy is highly unique to our personal energetic composition. Certain environments, channels of expression, and mediums may be especially conducive for the channeling of each of our unique energetic frequencies. Our most productive channels depend on how our propensities of each element is working uniquely in our astrological chart. What particular activities and areas of life, habits and lifestyle patterns will contribute to the harnessing of my personal Earth, Fire, Water and Air energy reserves? What will be the most productive, seamless, efficient and enjoyable means for me to channel my Earth, Fire, Water and Air energy through, given my highly unique elemental composition? 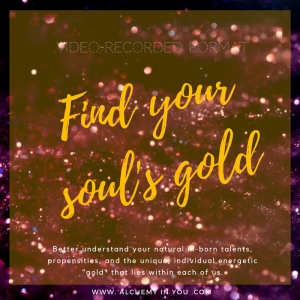 What stimulates my understanding of my varying soul gifts, talents and soul path calling, and how can I harness these points of accessing the total embodiment of my manifestation potential? Ordering this 4-Element Energy Protocol is especially conducive for those who would like to take an all-inclusive, holistic approach to elemental balance and the understanding of which avenues of channeling their personal energy may be most conducive for them personally. This inclusive protocol is created to help increase a sense of understanding of unique personal elemental composition and what channels of harnessing one’s personal energetic rhythm may be most conducive. Targeted abilities include all those mentioned in individual Fire, Water, Air and Earth protocols. In this protocol, your energetic blueprint will be assessed and a highly strategic, personalized protocol will be compiled based on your personal placements. Please note that all protocols are compiled by hand and will take approximately 3-10 days for delivery. Enter your exact birth date, birth time, and birth city in the order form below. This is the date for which the report will be analyzed. Note: If you have only a birth date and not a birth time then the report will reflect all energies in your chart except for that of your Moon sign, Rising sign and house cusps as determining their position will require an exact time of birth. Enter the email address to which you would like for your protocol to be emailed. Follow through with purchase steps and confirm your order. Within 3-10 days of purchase, your personalized 4-Element Energy Protocol will be delivered to your email inbox! This 4-Element Energy Protocol will be emailed to you within 3-10 days from when your order is placed. This time allows for the thorough and manual analysis of the specifics of your birth chart, which will provide a highly personalized interpretative section in your protocol. Please make sure to double check the birth date and birth time that is entered as you checkout as this will affect the results of your elemental profile report! Note: The results of this service are not to substitute professional medical, financial, psychological, legal or other such advice. 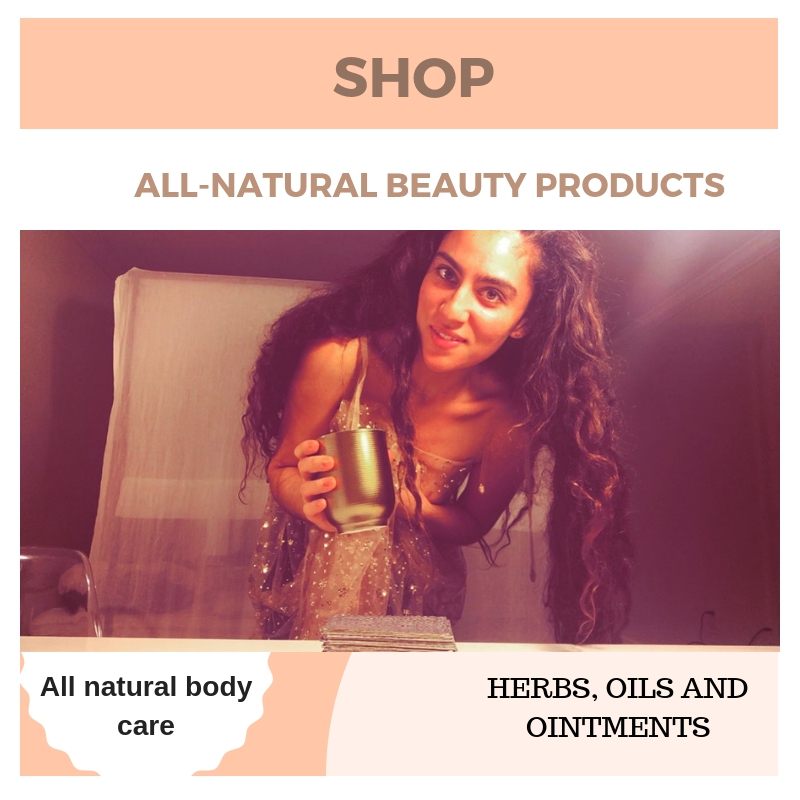 By purchasing this and/or any of Alchemy in You’s products or services you agree to the terms stated at the bottom of this page. We are alchemical beings. Our gifts, our potential and our purest form in the 3rd dimension is actualized in the moments of appreciation, recognition and channelling of our unique elemental composition. Grasping the energetic composition of our being is the first step towards achieving our own individualized, unique harmonic state, and harnessing these energetic portals are the second. I created these services with the intent of helping shed light on what your unique elemental structure is and the varying components that may go into accessing these depths of your being. Alchemy in You was birthed from an incessant desire to remind us that we are all magical beings, and that we are all alchemy. We are all unique compositions of energy frequency. We all have a highly unique reserve of creative potential at our disposal, waiting to be tapped into and harnessed to manifest our deepest desires. When we channel our unique energy reserves in a positive way and in the right area of life, we are empowered by our gifts and propelled along the path of abundance. The magic lies within each of us. We are the creators of our world. We are the creators of magic. Category: Energetic Balance Protocols, Packages and Programs, Services (energy readings, astrology reports). Enter your exact birth date, birth time, and birth city in the order form below. This is the date for which the report will be analyzed. Enter the email address to which you would like for your report to be emailed. Within 3-10 days of purchase your 4-Element Energy Protocol will be delivered to your email inbox! This 4-Element Energy Protocol will be emailed to you in PDF form within a 3-10 day time frame from when your order is placed. This time allows for the thorough and manual analysis of the specifics of your birth chart, which will provide a highly personalized interpretative protocol. Please do make sure to double check the birth date and birth time that is entered as you checkout as this will affect the results of your elemental profile report. In astrology, every minute counts when determining the energetic placement of certain fast-moving planets, points, and luminaries. To receive the most accurate holistic outlook of your personal energetic expression, an exact time of birth is necessary. If you only know the date of birth (and not the time), you will receive the truncated energetic expression report, which excludes the house placements and energies of your Moon and Rising (Ascendant) sign as they may be accurately determined only with a time of birth. Terms: The results of this service are not to substitute professional medical, financial, psychological, legal or other such advice. By purchasing any of Alchemy in You’s services, you agree to the terms that Alchemy in You provides services for entertainment purposes only and does not claim to substitute legal, medical, psychological, financial or other such advice requiring professional assistance. By purchasing any of Alchemy in You’s services you agree that the services provided by Alchemy in You are spiritual in nature and subject to interpretation, and that Alchemy in You does not take responsibility for any matters or decisions taken on the part of the client. By purchasing any of Alchemy in You’s services, you agree to bear any responsibility for any decision based on the insights provided in your service and that Alchemy in You and its service providers will not be liable to anyone for any loss resulting from any decision made or action taken from the indirect or direct acquisition of any insights during a reading and that the reader shall not be liable for any decision made or action taken by Alchemy in You or its entities. By purchasing and using any of Alchemy in You’s services, you agree and consent that you have already understood the stipulations of this disclaimer and that it is recommended for you to consult a professional advisor for any medical, health-related, financial, psychological, legal, or other such matters that may be present.